"Measure it - Manage it"
With world class expertise & Sub-Saharan experience dedicated to the provision of cutting edge solutions and identification of profitable opportunities for your business, GeoQuest (either alone or with associates) offers the following environmental services to its clients. JICA-ZESCO: Environmental Impact Assessment and Resettlement Action Plan for the Southern Area Transmission System Development Project. Nippon Koei: Water Quality Assessment of the Kafue River at the Iolanda Water Intake Plant. 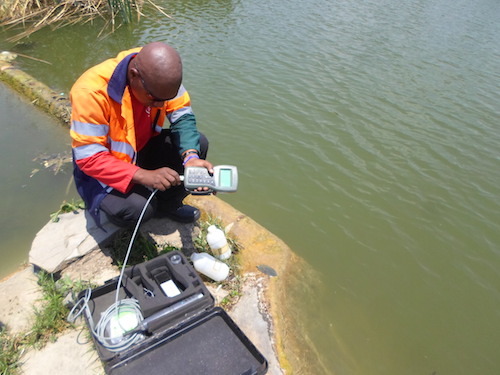 Intrepid Mines Limited: Environmental Monitoring. Lafarge Cement Zambia PLC: Environmental Study and Assessment of the use of Alternative Fuels in the Cement Production Process. Kansanshi Mining Plc: Assessment and Recommendations for Groundwater monitoring at Kansanshi Mine. First Quantum: Environmental Sociological Impact Statement for the Sentinel, Intrepid and Enterprise Projects. First Quantum (Kansanshi): Environmental Audit for the Environmental Protection Fund. UNICEF: National Rural Water Supply and Sanitation Programme Feasibility and Environmental Study. Environmental Council of Zambia: Development of Environmentally Sound Solid Waste Management Practices in Zambia. Zambia Information and Communication Technology Authority (‘ZICTA’): A National Baseline Survey to Establish the Level of Compliance with the Set National Human Exposure Safety Limit.